Compared to the HELIOS 10-34 model, the light beam of this flashlight is narrower and can thus illuminate an object at a greater distance. 100 % / 50 % / stroboscope. 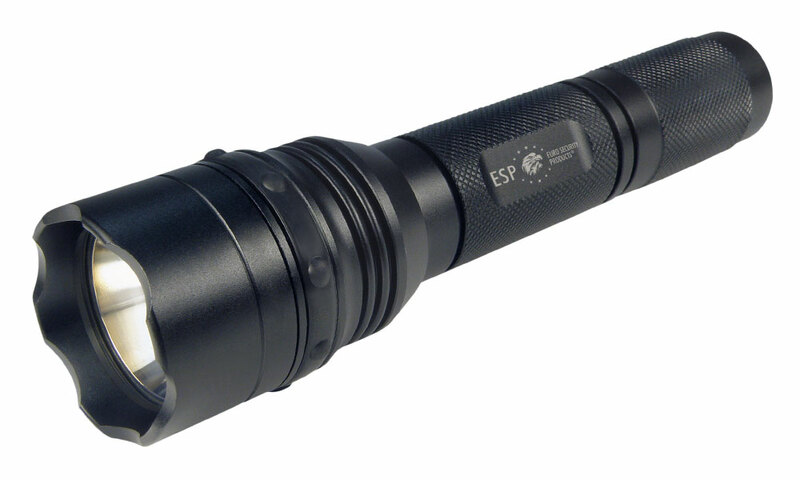 Police tactical duralumin flashlight with advanced powerful 3W LED diode (CREE chip) with extremely high luminous intensity (approx. 150 lm). Chip performance is controlled electronically. It lightens an object with a sharp beam at a distance of approx. 100 meters. The switch is at the bottom of the flashlight. Unbreakable frontal polycarbonate glass. 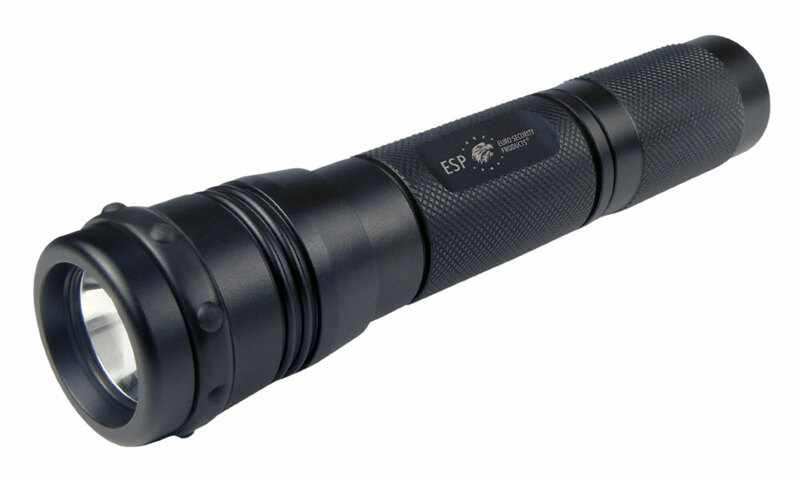 Robust moisture resistant body of the flashlight has classic shape. Strongly grooved rubber head ring prevents rolling of the flashlight on smooth surface. A swiveling holder LHU-04, LHU-14 and LHU-24 or LH-04, LH-14 and LH-24 is available for comfortable carrying of the flashlight. It can be also used as a part of the “night police set” with plastic red signal cone and nylon holder. 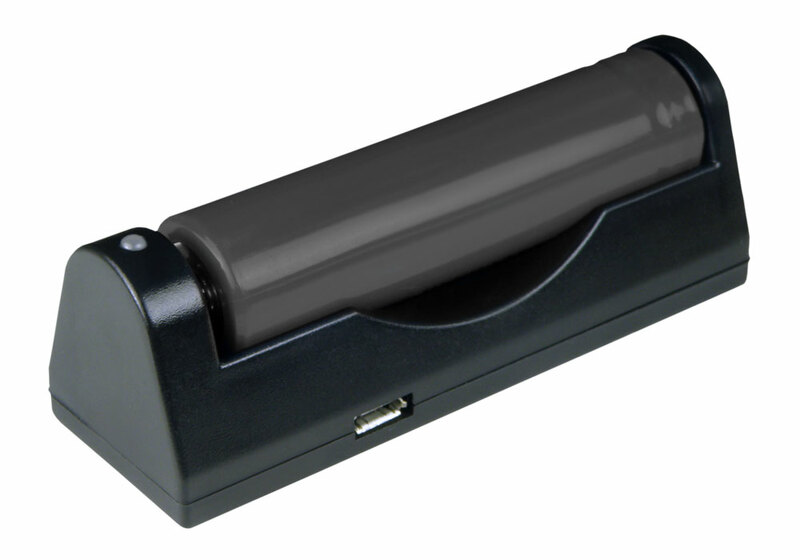 Power supply is ensured by 3 pcs of alkaline AAA batteries, which are already included in the price of the flashlight! 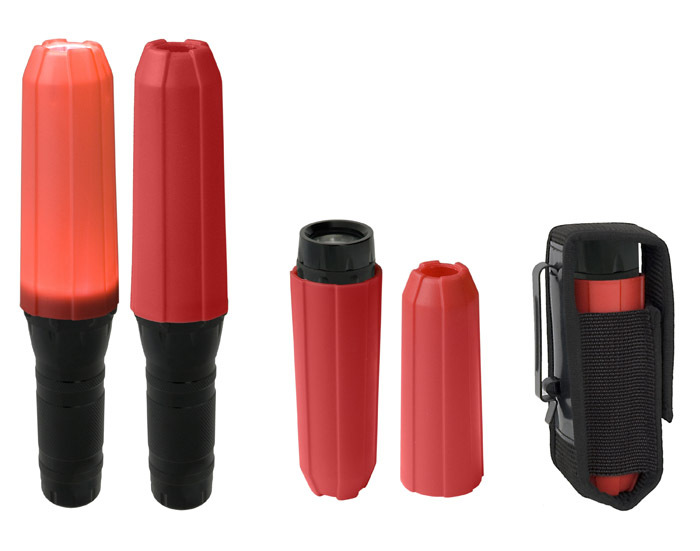 Flashlight TREX 3 makes it possible to create so called “night police set” consisting of plastic red signal cone, flashlight and nylon holder. This holder is equipped with metallic clip, which enables its fast fixation on a belt (without unbuckling it) or to a tactical vest. It can be alternatively fastened also to the supporting M.O.L.L.E. system. 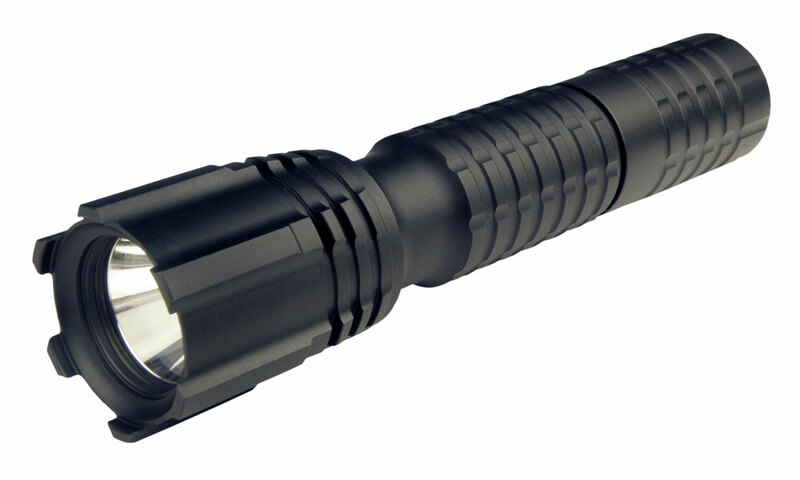 The main advantage of this solution is in the fact that the signal cone does not take any extra space in the holder as the flashlight is inserted into it. 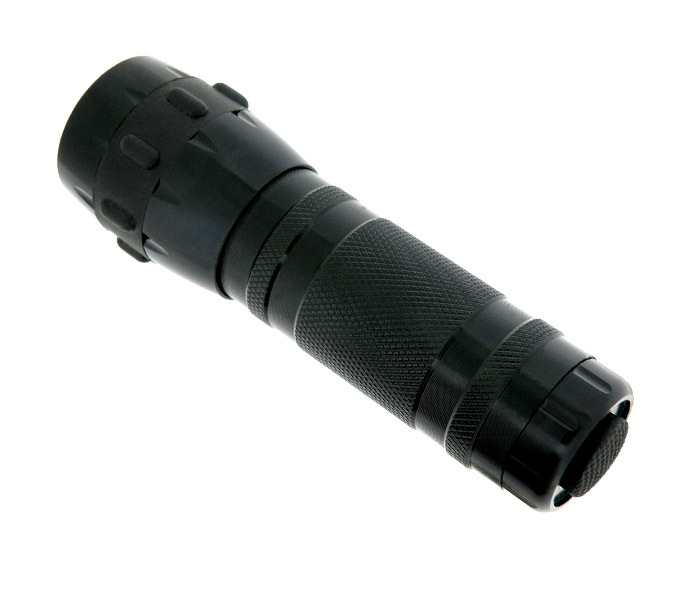 At the same time it strengthens the holder and increases thus protection of the flashlight. The cone is open at its top, which enables normal use of the flashlight for lighting with white light without necessity of removing the cone (checking of documents, checking of interior of vehicle, etc.). Excellent tool, not only for traffic police. 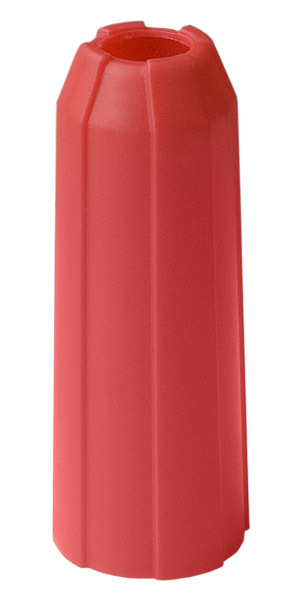 Plastic red signal cone has dimensions adapted for the flashlight TREX 3. The cone is open at its top, which enables normal use of the flashlight for lighting with white light without necessity of removing the cone (checking of documents, checking of interior of vehicle, etc.). Excellent tool, not only for traffic police. Signal cone does not take any extra space in the nylon holder as the flashlight is inserted into it. 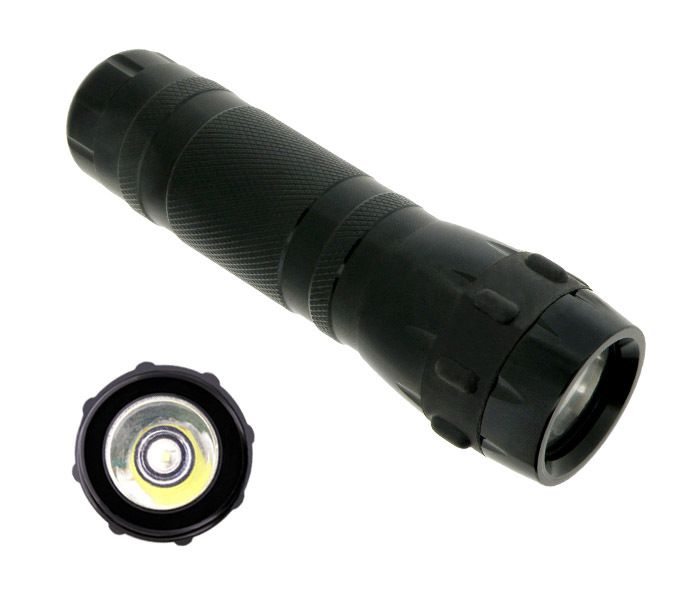 At the same time it strengthens this holder and increases thus protection of the flashlight. 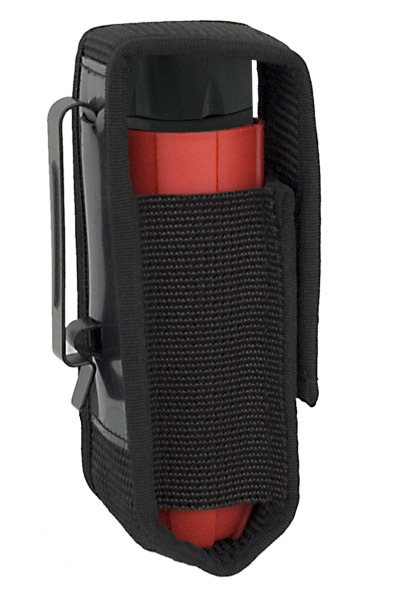 This nylon holder is designed for safe storing and carrying of plastic red signal cone and flashlight TREX 3. It is equipped with metallic clip, which enables its fast fixation on a belt (without unbuckling it) or to a tactical vest. It can be alternatively fastened also to the supporting M.O.L.L.E. system. This nylon holder is not delivered with signal cone which is sold as separate item!